Dec. 4: Jazz singer Cassandra Wilson is 54. Rapper Jay-Z is 40. Model Tyra Banks is 36. Dec. 5: Singer Little Richard is 77. 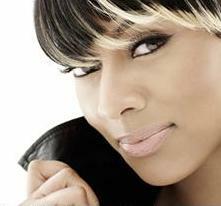 Singer Keri Hilson is 27. Actor Ross Bagley (“Fresh Prince of Bel-Air”) is 21. How To Cut Your Expenses.com is just what the name says. This vital site is from consumer expert Vernon Williams. Check it out here: www.HowToCutYourExpenses.com. Dec. 4, 1906: Alpha Phi Alpha Fraternity, Inc. was founded on December 4, 1906 on the campus of Cornell University in Ithaca, New York by seven college men who recognized the need for a strong bond of Brotherhood among African descendants in this country. Dec. 5, 1784: Phyllis Wheatley, the first African-American author to be published in book form, dies in poverty at the age of 31.